Try a delicious new morning drink with our Cinnamon-Caramel Iced Coffee Recipe. This iced coffee recipe should definitely be on your must-make list! Place coffee in filter in brew basket of coffee maker; sprinkle with cinnamon. Place caramel topping in empty pot of coffee maker. Add water to coffee maker; brew. When brewing is complete, stir until well blended. Refrigerate until ready to serve. 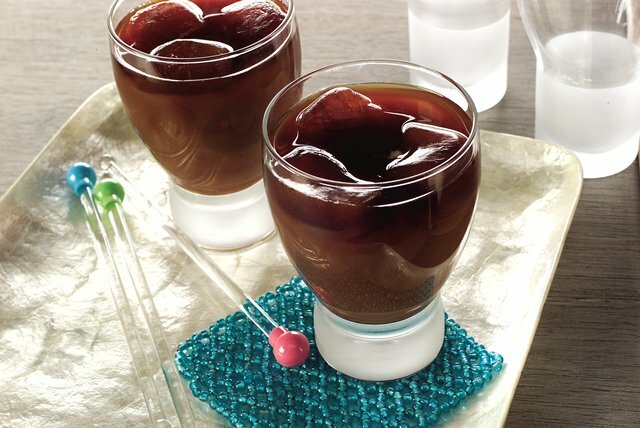 Pour coffee mixture over ice cubes in tall glasses. Serve with milk and sugar, if desired. Serve over coffee ice cubes instead. To prepare, pour cooled brewed MAXWELL HOUSE Coffee into ice cube trays. Freeze until solid. Use to chill iced coffee drinks without diluting the flavor. Makes 6 servings, about 3/4 cup each.